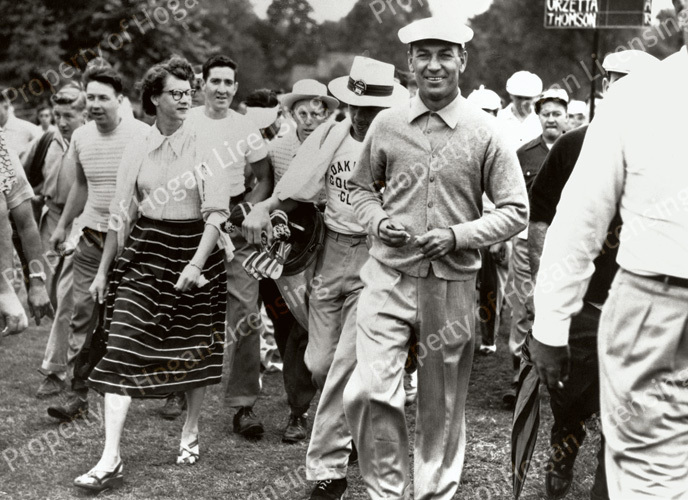 The son of a blacksmith, William Ben Hogan was born Aug. 13, 1912, in Dublin, Texas. 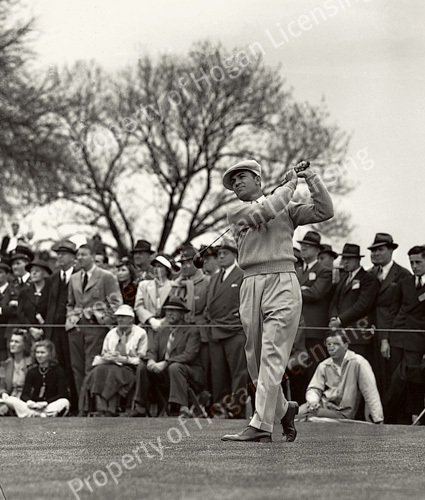 After moving to Fort Worth, Hogan began caddying and playing golf at the tender age of 12. It was then when he switched from his natural left-handed stance to hitting right-handed. 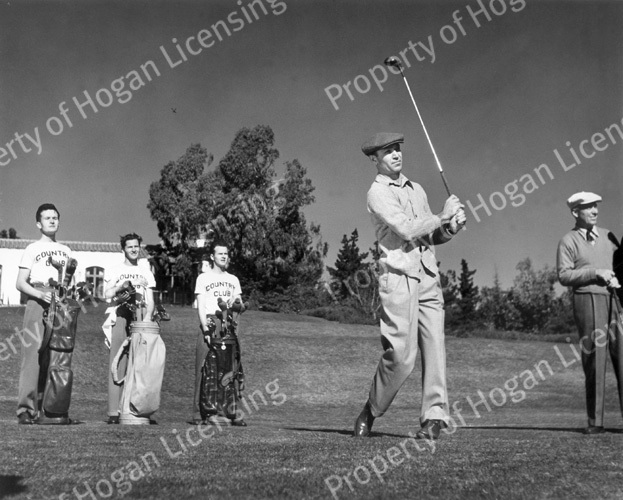 Despite having an uncontrollable hook, Hogan turned pro when he was 17 and joined the tour at age 19. 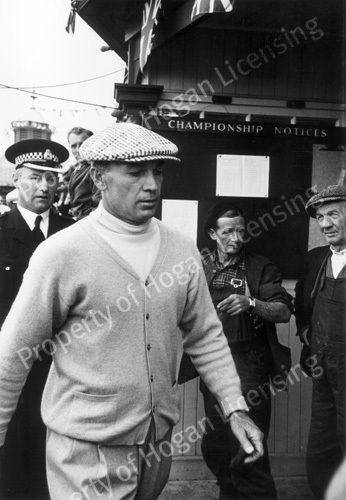 But even the greatest golfers have setbacks, and it was no different for Hogan. Joining the tour just didn’t work for him. Neither did another attempt two years later. 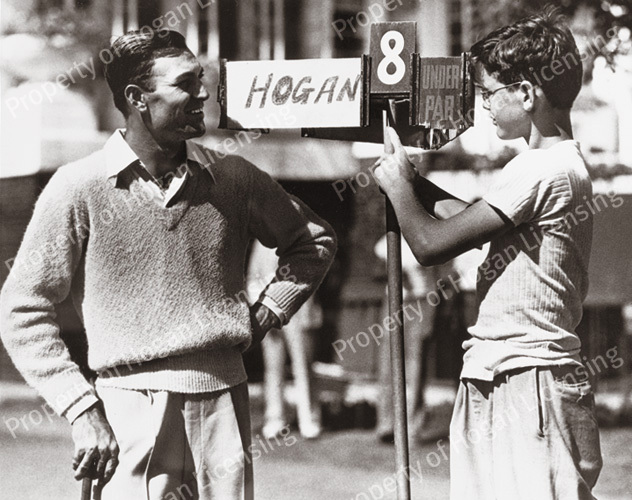 Hogan returned to the tour in 1937, but it was a few years before he started cashing checks regularly. 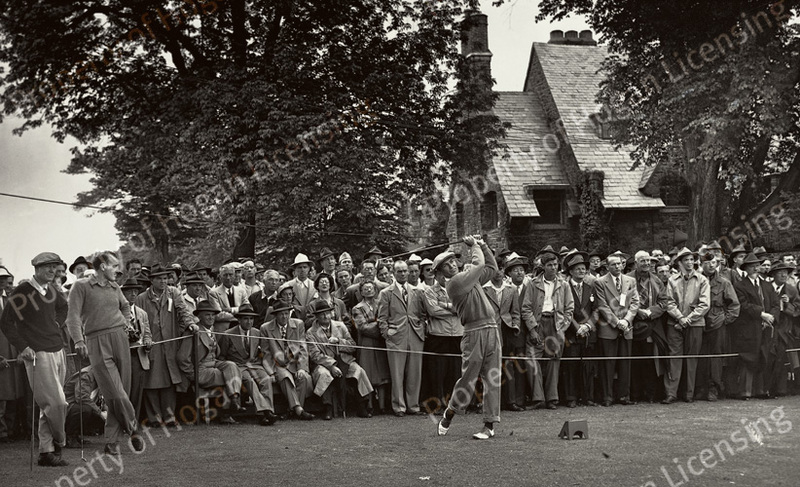 Soon, the checks got bigger and bigger, and he was the tour’s leading money winner in 1940, 1941 and 1942. 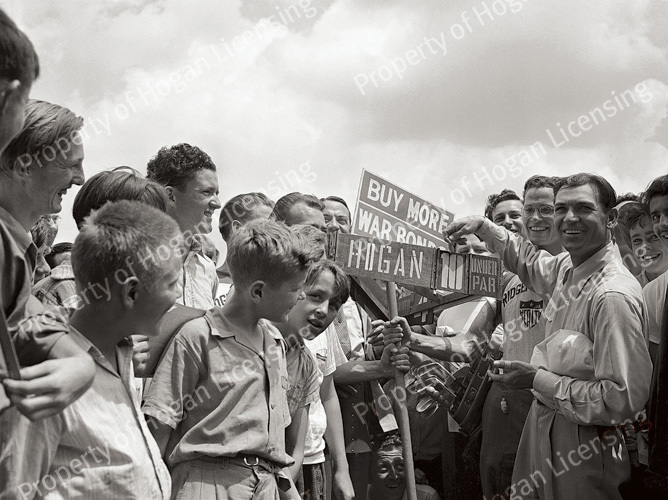 After serving in the Army during World War II, Hogan won his first major, taking the PGA title in 1946. Two years later, he won another PGA and his first U.S. Open. 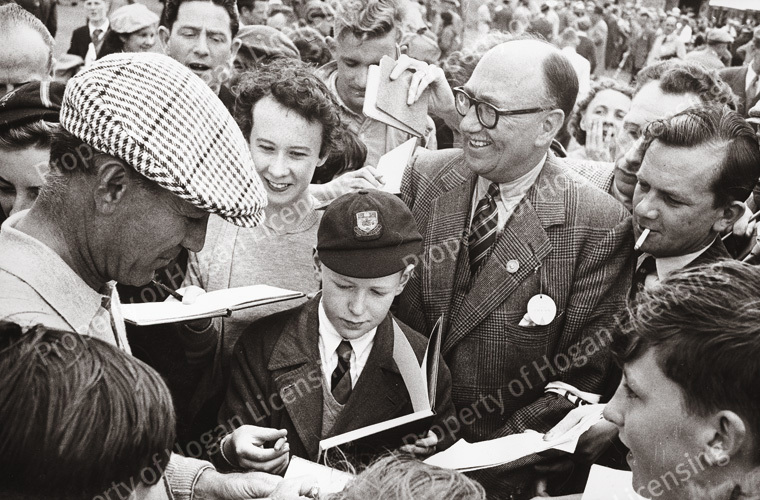 From the time of his discharge from the Army in August 1945 to 1949, Hogan won an amazing 37 tournaments and twice was the leading money-winner for the year. 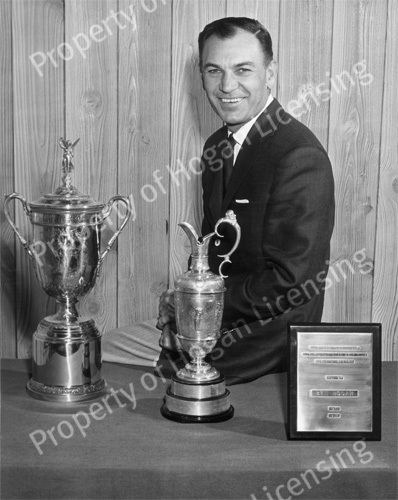 A controlled left-to-right ball flight and sound course management contributed to his success. 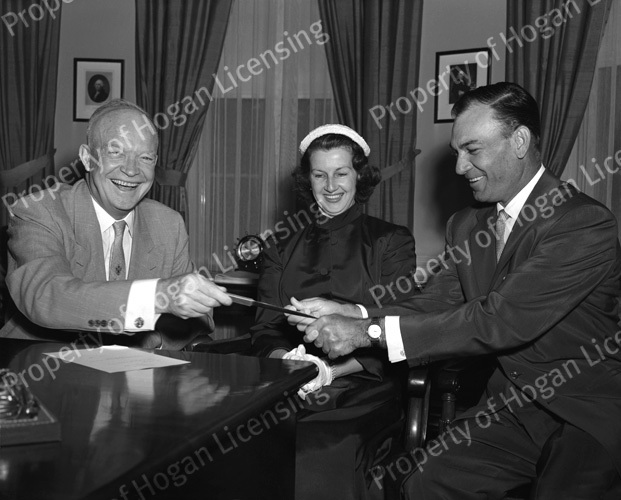 A major turning point in Hogan’s life came on February 2, 1949, when he was traveling with his wife, Valerie, through West Texas. On a country road about 150 miles east of El Paso, a Greyhound bus, swinging out to pass a truck, met Hogan’s car head on. The impact drove the engine into the driver’s seat, and the steering wheel into the back seat. While Valerie received only minor injuries, Hogan suffered a broken collarbone, a smashed rib, a double fracture of the pelvis and a broken ankle. Sadly, he would suffer lifelong circulation problems and other physical limitations. His doctors said he might never walk again, let alone play golf competitively. He left the hospital on April 1st, 59 days after the accident. That summer, he was too weak to swing a club or walk far. But somehow, by the following January, he was playing in a tournament, astonishing the sports world. 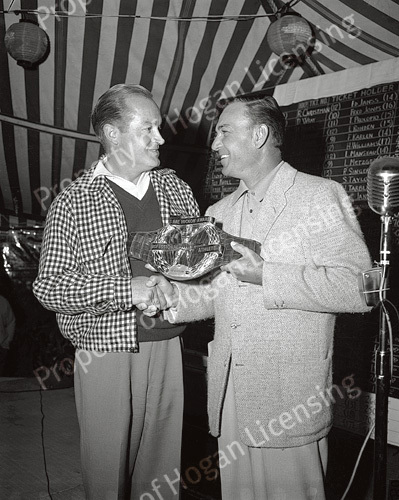 And playing well, too, finishing tied for first with Sam Snead before losing the playoff. Amazingly, just 16 months after his near-fatal accident, Hogan won the U.S. Open at Merion in Pennsylvania. 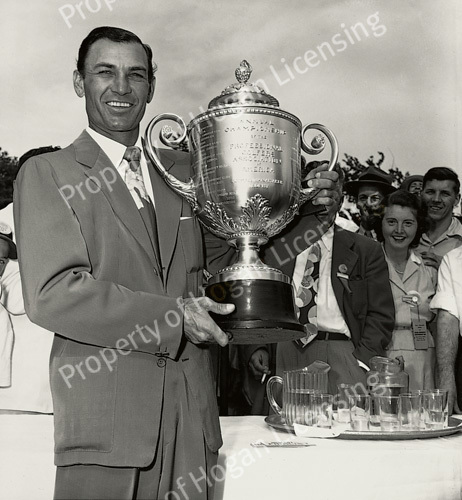 In 1951, Hogan retained his U.S. Open title when his score of 32 on the back nine in the final round enabled him to win by two strokes at demanding Oakland Hills in Michigan. 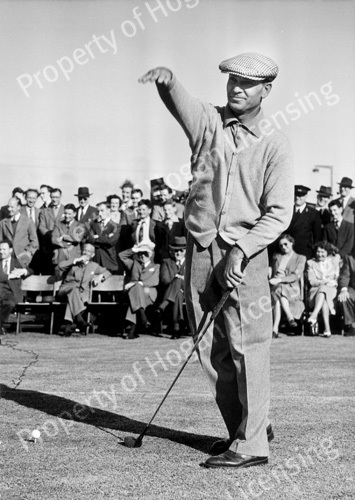 He also won his first Masters, shooting a then-record 274. 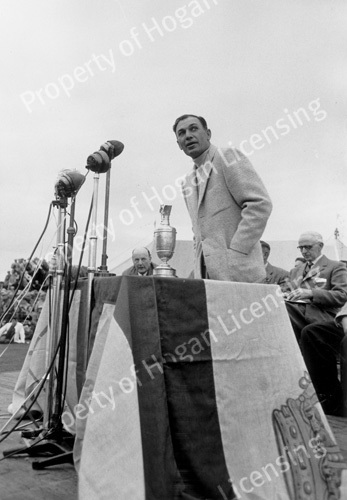 Hogan was even better in 1953 at the age of 41, when he won five of six tournaments, including three majors – the Masters, U.S. Open and the British Open (in his only appearance in this tournament). 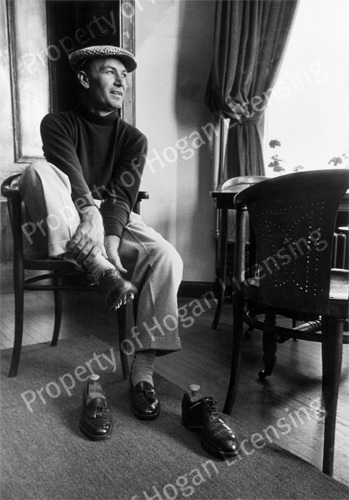 What’s more, Hogan started his golf equipment company, the Ben Hogan Company, the same year – an amazing feat considering the golf year he was having. 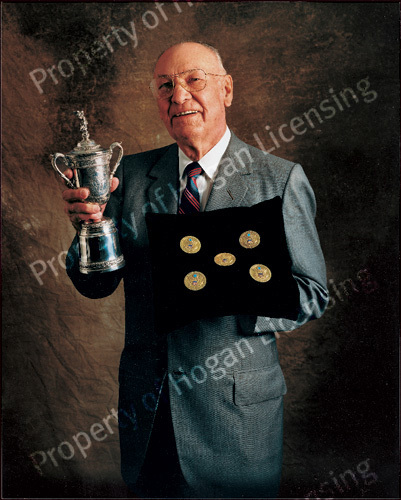 In 10 years of competing in the U.S. Open (1946-56), Hogan’s record was extraordinary: four firsts, two seconds, a third, a fourth and two sixths. 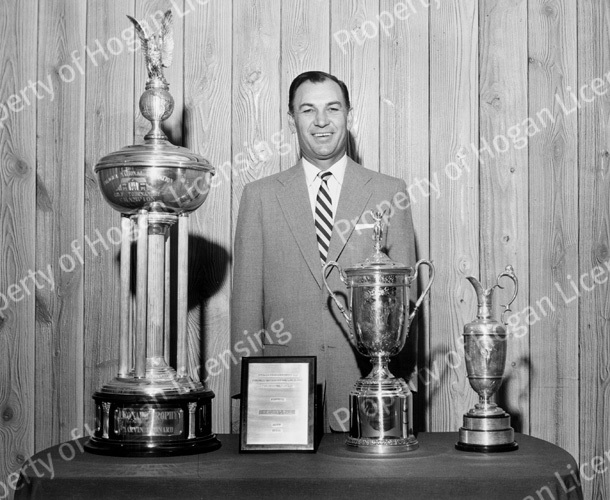 Hogan retired with 64 tournament victories and nine career professional major championships. 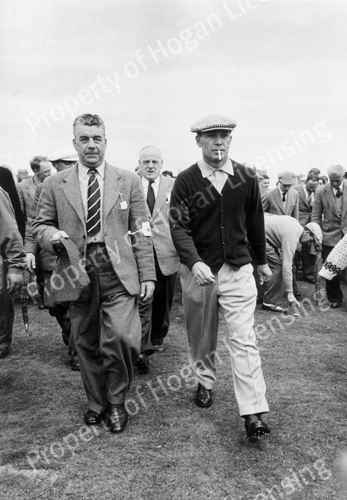 Only Jack Nicklaus with 18, Tiger Woods with 13 and Walter Hagen with 11 have won more professional majors. After his professional career declined, he concentrated on managing his company. 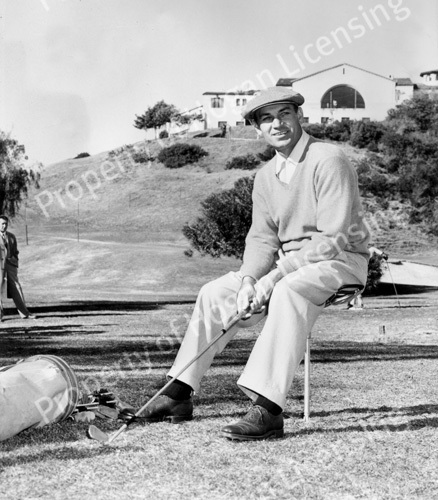 In 1957, he wrote a book with Herbert Warren Wind: “Five Lessons: The Modern Fundamentals of Golf.” The book has sold over 10 million copies and is still a major seller today, almost 50 years later. 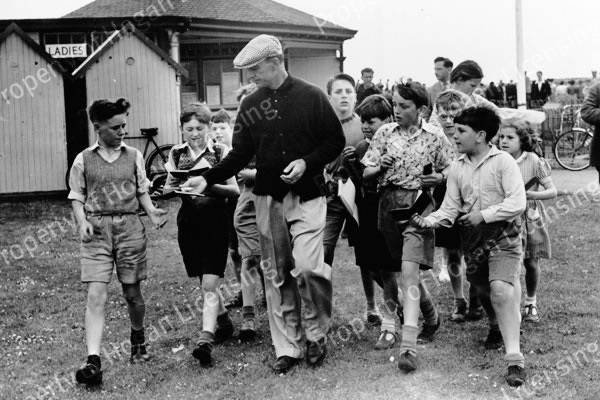 It is widely recognized as one of the greatest instructional books ever written about the game of golf. 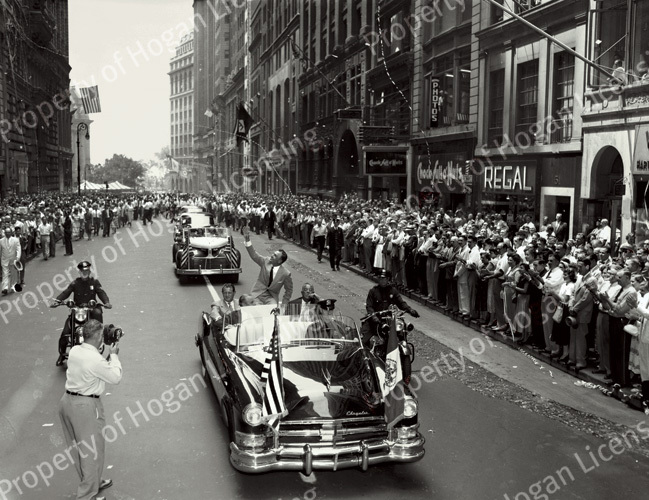 Hogan died at age 84 on July 25, 1997, in Fort Worth.